First, let me file this under advice I never would have thought about before until I experienced it. 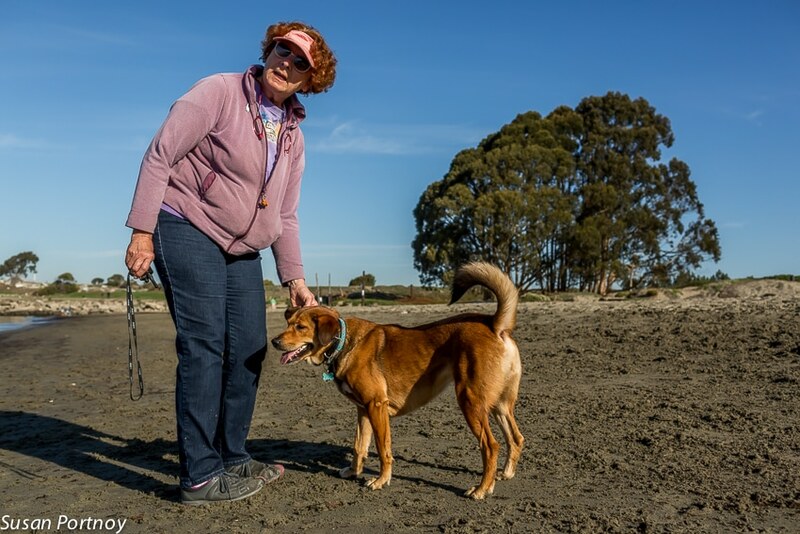 While visiting friends in Berkeley a few years ago I found my way to a nearby waterfront adjacent to the Albany Bulb, an old landfill that has become a park of sorts. 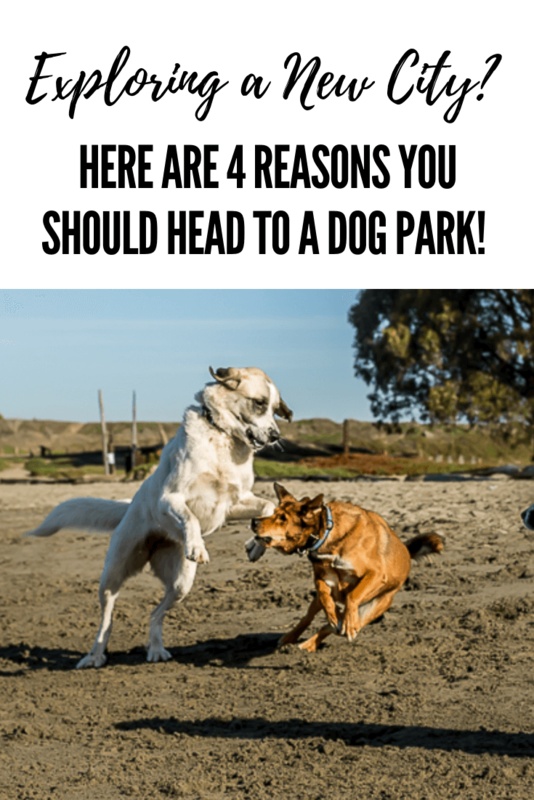 It was an early Saturday morning and from the action on the beach, I could see that it was also a favorite dog park. I began photographing the pups and talking to their owners, as one is want to do, and I realized I’d been missing out on a great way to get to know a new city. Even without a dog of my own, there’s something about the love of animals that unites. Armed with my camera, I asked if I could shoot pics of people’s pooches and everyone was happy to oblige. Bonding over a dog is a great way to break the ice, and casual conversation was a breeze after that. None of the typical “Why are you talking to me?” expressions I might come across if I chatted up the same people on a street corner. Did you know that Kangal dogs are Turkish in origin and bred to guard livestock by fighting off wolves, bears, and jackels? I sure didn’t. 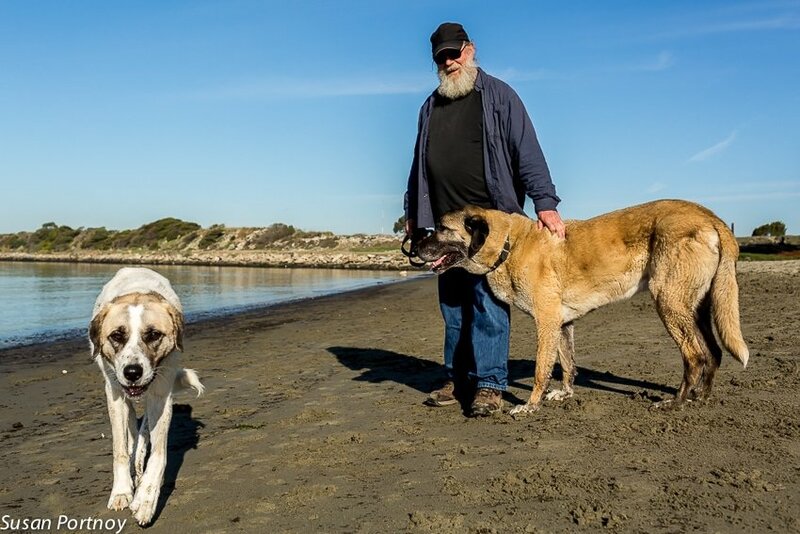 Frankly, I didn’t even know there were Kangal dogs. I learned this and other interesting tidbits from a very nice man named Ken while taking pictures of his 10-year old Kangal, Bran. Happiness is a muddy stick to chew on. In the background: San Francisco Bay and the city of San Francisco on the horizon. I know there are exceptions but I think that people are their best selves when playing with their pets. They’re open with their affection, and the depths of their caring is pretty heartwarming. And when you’re in a new place, what better time to meet people than when they have an open heart? Kaleigh and Sol are one such example, a sweet duo that has been together for over a decade. 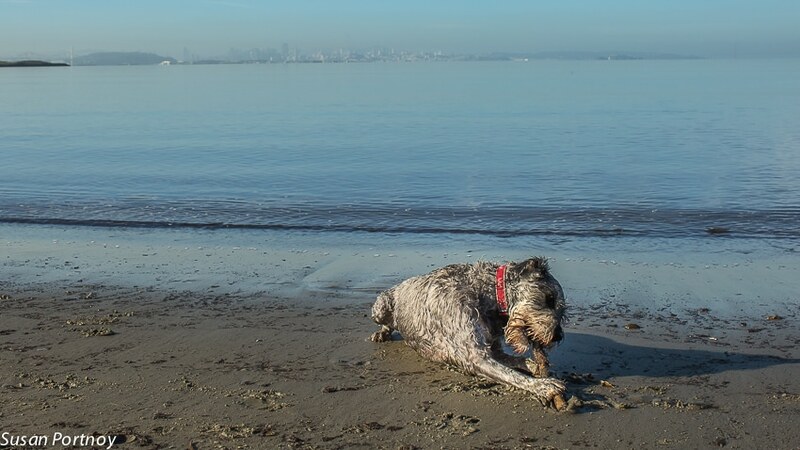 Kaleigh, a senior puppy (I’ve called all dogs puppies since I was a kid), wracked with arthritis, loved to play game after game of fetch in the bay with her dad, Sol. Kaleigh’s physical limitations kept the game at a snail’s pace, but neither seemed to mind. Kaleigh would paddle into the water, and when she was 10 or 15 feet out Sol, armed with a nifty plastic thrower, would hurl the ball at least 100 feet beyond her into the bay. Kaleigh would slowly chug along until she reached her target and then turn back towards the beach, ball in mouth, only to drop it, like clockwork, five or six feet from the shore. This meant Sol had to get into the water himself or wait for the tide to bring it to him. He chose the latter. Not a perfect scenario, but one he was happy to endure. As soon as Kaleigh saw Sol pick up the ball, she’d turn around, walk back into the water and start the whole process over again. “How long will she go?” I asked. “She’ll go for a long time,” he replied. “But when she was younger, my shoulder would give out before she would,” he added with a tinge of sadness. Anticipating my next question, Sol explained, “When she’s done, she lets me know.” “How?” I asked. “She just won’t drop the ball” he replied. “She’ll keep it in her mouth and walk right out of the water. That’s when I know she’s had enough.” It was obvious he missed the young Kaleigh, the one that had years ahead of her. If you like dogs, I find they typically like you back. I quickly realized that my plopping down on the sand to take a picture was actually a canine invitation to cuddle. These snuggle sessions may not directly contribute to getting to know a city, but they’re sure one hell of a bonus.